Mercedes' purchase of the Brawn team at the end of 2009 brought the undoubted talents of Ross Brawn into the History of Mercedes and the Silver Arrows legend. He had taken is interim team to folklore status when he bought out the remains of the Honda F1 team and took it to a debut season world championship in 2009, Now it was hoped he would do the same for Mercedes. The W01 was designed by a team including Kevin Taylor (Chief Designer), Loïc Bigois (Head of Aerodynamics) and Craig Wilson (Head of Vehicle Engineering and Dynamics). The silver livery was officially unveiled on a Brawn BGP 001 chassis at the Mercedes-Benz Museum in Stuttgart on 25th January 2010 but the actual W01 was launched on 1st of February at the Circuit Ricardo Tormo, near Valencia. Brawns driver line up had departed so the new driving staff would be returning 7 time World Champion Michael Schumacher and promising young German Nico Rosberg. The new car had the naturally aspirated Mercedes-Benz FO 108X engine, a 2,400cc 90° V8 unit limited to 18,000 RPM under the new engine rules. 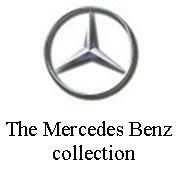 Transmission was through a Mercedes carbon-fibre seven-speed semi-automatic sequential gearbox. It’s chassis design was fairly conventional in both construction and aerodynamics, many areas seeming to be developments of the previous years Brawn car. Suspension, front and rear, was by wishbone, and pushrod activated torsion springs and rockers. The Cinese GP was the last of the season opening “flyaway” races. Rosberg qualified 4th and finished only 9.5 secs behind the winner Jenson Button, Lewis Hamilton, McLarens other driver was second. The Race had started under wet conditions and the weather continued to influence the race, making tyre choices paramount throughout. 3rd place for Rosberg equaled his performance in the previous race in Malaysia, he would also take another podium later in the year at in Britain. Schumacher however had a lacklustre weekend. He qualified three-quarters of a second down on Rosberg, then finished in tenth place 50s down on his team mate, and under conditions many thought would have suited him well. With the flyaway races now over and F1 heading back to the Spanish GP at Barcelona. The European season always sees the first of the major up dates and the W01 was no exception. It’s most noticeable change being in the removal of the front part of the airbox intake. The team was unable to get near the performance of Brawn GP the year before and finished fourth in the Constructors' Championship, with 214 points. This model was built by Ian through the year of 2012. I took so long due to the amount of modifications needed to build an actual race car from the kit which is of the pre season launch cars configuration. Major bodywork changes occured during the pre-season testing and early races. The rear wing is altered and now includes a scratchbuilt passive 'F'duct system, the front wing is significantly altered, the nose is alteres and the camera pods moved forward. In the rear body work a number of vents needed to scribed in or opened up and generally the parts were thinned down to a more scale appearence rather than the rather chunky kit parts. The model is painted with hobby acrylic paints from the Americana range sprayed through an airbrush. The top clear coat of Halfords acrylic car paints (always go very carefully and slowly when covering decals). Smaller parts are painted with Citadel acrylics, Halfords acrylics or Humbrol enamels. There are carbon fibre decals in the kit for the suspension and some of the undertray, this causes and obvious difference in colour where the decal meets the plain black underneath. Ian mixed Citadel Black, silver and tin bitz to achieve a similar colour and applied this by brushing in a criss-cross pattern over the black base. If you can find matching carbon fibre, or have access to a whole new sheet and the time to remake all the kit decals then decalling all the carbo fibre would look a little better.